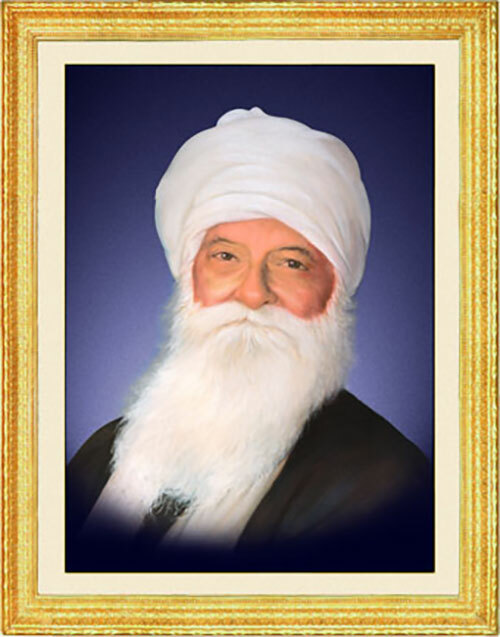 Father at that time gave expression of a deep-rooted desire to the Lord, to leave everything worldly and devote all his time and rest of his life in Baba Ji's service. Baba Ji asked father what he would do? Father in all humility submitted that he shall cause no inconvenience to Mahan Baba Ji, that he shall make his own arrangements for his food etc. and that he sought only the commode service as Baba Ji's sweeper. Such was the intensity of father's yearning appeal and prayer that most compassionate Baba Ji went into serious divine contemplation. After a pause, He again cast a most wonderful and penetrating look of Grace on father and filling him with waves of ecstasy and Bliss compassionately remarked, &ldsquo;Dipty, Time is not yet ripe.&rdsquo; Thereafter, father for the rest of his life, mentally performed the commode service of his Lord daily as coveted Sadhana and used to proudly proclaim himself as ‘Baba Ji Da Churha' (sweeper). He bathed his body with the dust of the feet of the holy sangat of Baba Ji. He rolled and rolled in the holy dust in such a way as if he was swimming in a deep Ocean of Bliss. Such was the state of his rapture while so bathing in this holy dust. Physically, mentally and spiritually, he had transformed himself as the dust of the sacred feet of Mahan Baba Ji. He rejoiced and delighted in this holy dust more than any other thing. His own individuality and ego had totally submerged, vanished and disappeared in this holy dust. The flavour of humility thus attained from the holy dust shone on his face with unique joy and splendour.